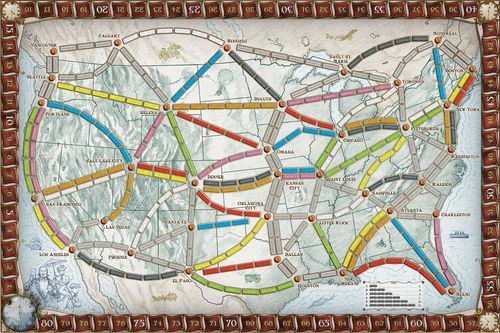 Ticket to Ride is a turn-based game where players compete to build railroads across the country. The game has simple rules but also a surprising depth and a nice blend of luck and strategy. 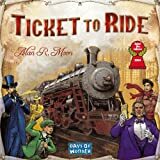 The game is featuring high-quality illustrations and components including an board map, 225 train cars, 144 illustrated cards and wooden scoring markers. Each turn you have the option of either placing trains on the map, acquiring a new route card or drawing train cards. When a player can complete routes, he will receive points for it and the longer the routes, the more points they earn. 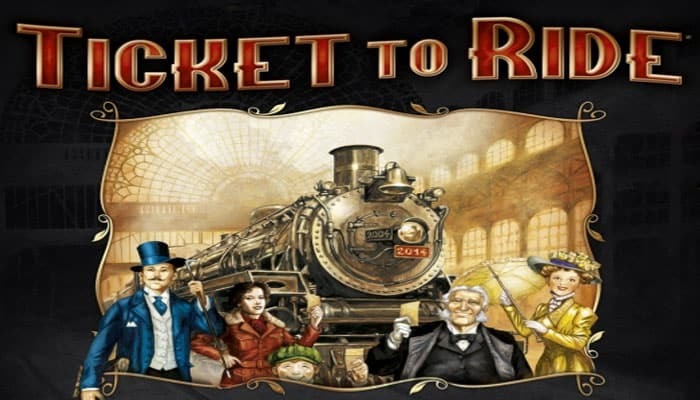 Additional points come to those who can fulfill their Destination Tickets by connecting two distant cities and ofcourse to the player who builds the longest continuous railway. Tickets are super-important in the game. In order to be competitive, you pretty much need to score a bunch of tickets. The big tickets are very valuable (worth over 30 points), so you clearly can't keep up with this by just building to the board. Waiting on taking a longer route might pan out for you in the long run, but also gives your opponent a chance to take valuable but shorter connecting routes. The challenge lies in knowing which routes to buy, cutting off routes for the competition, and knowing which Destination Tickets to hang on to and which to discard. It's a quite fun puzzle/strategy hybrid to play though. When the game ends, the game counts up points for everyone, leaving your score till last and awards the winning based on the highest score. The player with the highest points wins the game. Without being too complicated, players must make a variety of strategic and tactical choices, giving it considerable replay value. Therefor, Ticket to Ride is an absolutely top-notch game. 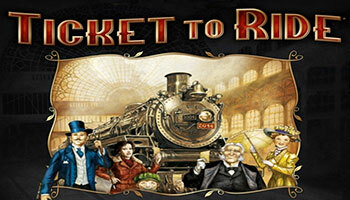 Ticket to Ride is suitable for 2-5 players and an average game takes about 45 minutes. Each turn goes pretty quickly and so there are not the long pauses in between turns where players can get disengaged. Millions of people around the world played since its debut in 2004. The game can be still considered as young, it is already a true classic board game. 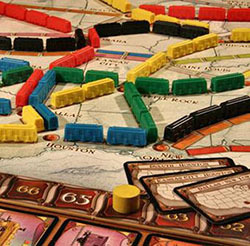 Ticket to Ride is one of those big board gaming successes. It's won a tonne of prizes (like of "game of the year" in 2004) from all over the world and, along with Catan and Carcassonne, it's consistently the highest seller according to Esdevium who are the largest board gaming distributor in the UK. 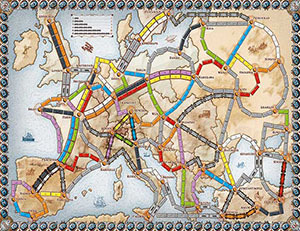 While the map is placed in the center of the table, each player takes his set of 45 colored train cars and its matching scoring marker. The marker will be placed on start. Choose tickets you think you can finish. Remember also that big routes are much harder to complete in a 4-5 player game. Avoid telegraphing where your routes are going because others can block you easily. Claim the critical routes first. If you need a one-train leg, get it as soon as you have the card. 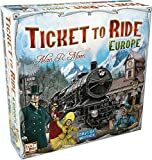 Ticket to Ride is clearly a 'family' game, and I must confess that I'm really looking forward to a couple of years time, when my son Simon will be four, and my daughter Elizabeth eleven, at which point the game seems ideally suited to family game night. Admittedly, it helps that Simon is already utterly addicted to all things trains, whether that be Thomas the Tank Engine or Chuggington or a documentary about the golden age of steam.